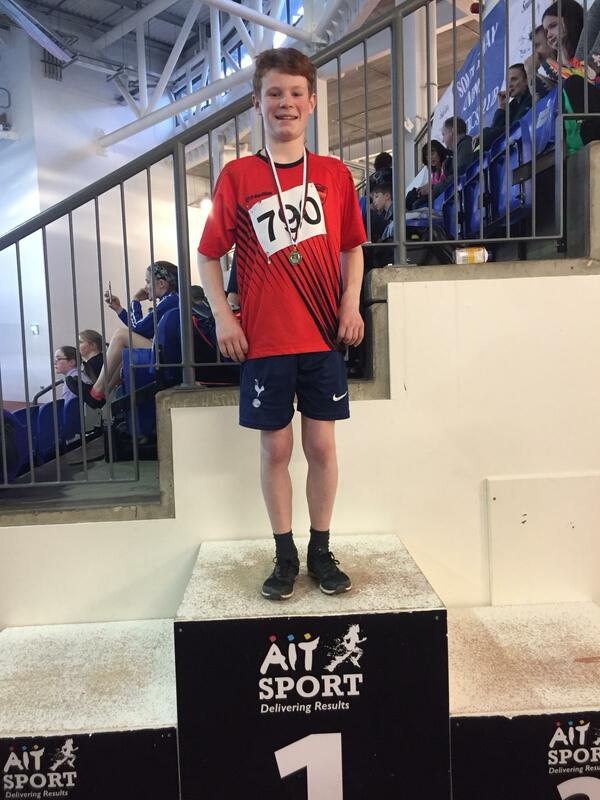 Posted January 14, 2019 by Josette Farrell in Sport. 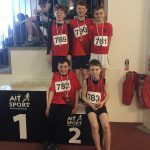 GOLD, SILVER, BRONZE, PERSONAL BESTS & CHAMPIONSHIP RECORDS WERE THE ORDER OF THE WEEKEND FOR CLARE RIVER HARRIER ATHLETES. 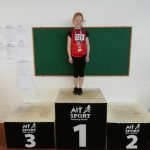 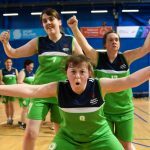 Gold, Silver, Bronze, Personal Bests and Championship Records were the order of the weekend for Athletes who competed in the County Indoor Championships which took place at the International Arena in Athlone. 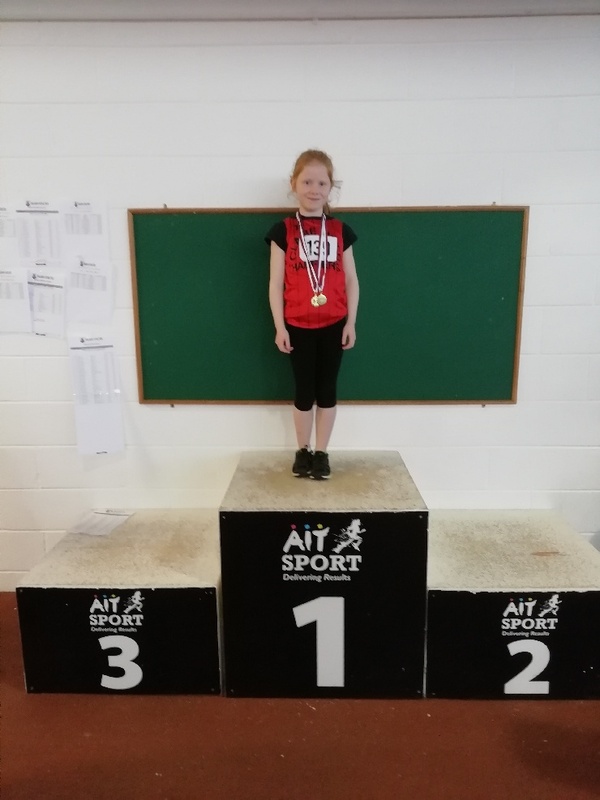 51 Juvenile Athletes represented the Clare River Harriers Athletics Club with pride – running, jumping, throwing and walking. 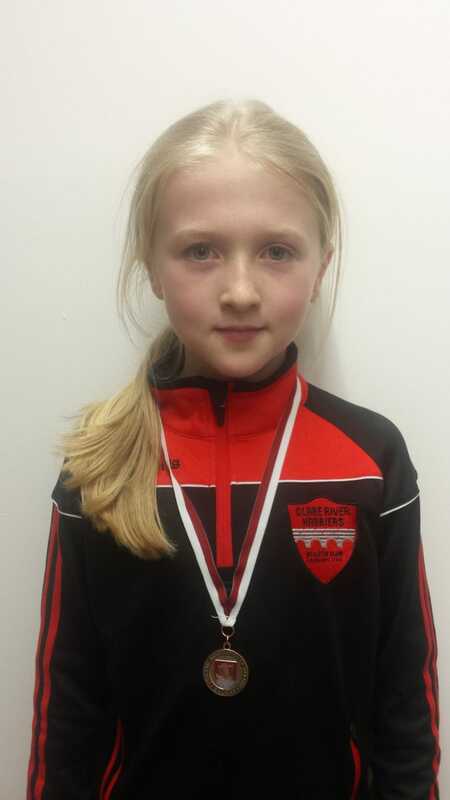 The club took home 3 gold, 6 silver and 3 bronze medals. 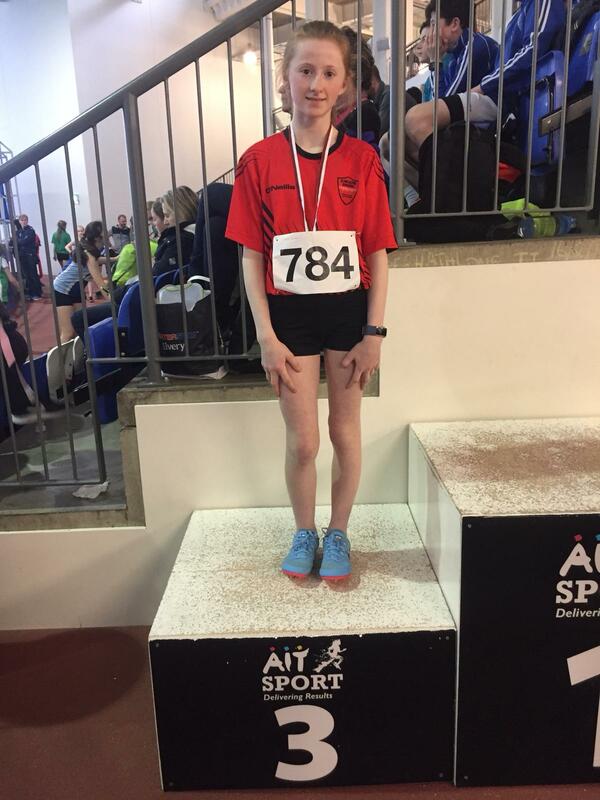 Elizabeth Healy took gold in both the 60 and 200m; coupled with this she set a Championship Record in the 60m. 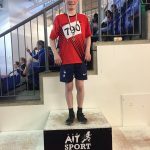 Eoin Higgins took gold in the Shot Put and Silver in the High Jump. 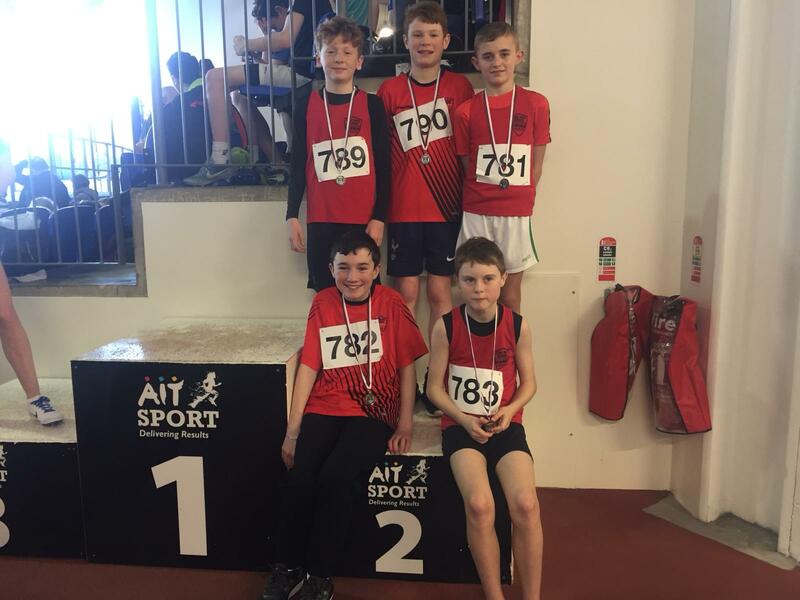 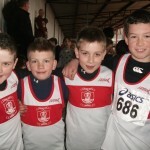 Under 14 boys relay team took silver – Kyle Fitzgerald, Eoin Higgins, Cathal Grace, Liam Connolly and Dara Lenihan. 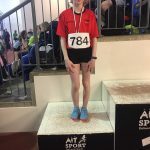 Isla Day took Bronze in 60m, Maeve Meehan bronze in the 1km Walk and Gordon Lenihan took Bronze in the Shot Put. 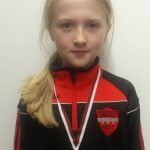 The following is a list of all the athletes who put in a great effort over the weekend and represented the club with pride – Aoife McCormack, Paul Woods, Rionagh Crowe, Tomas Higgins, Maura McNicholas, Michael McNicholas, Evan Collins, Emma Forde, Dearbhail Forder, Ryan Scully, Matthew Newell, Aishling Clare, Diarmuid Clarke, Dylan Rabbittee, Ronan Meehan, Emily Nash, Ruairi Flaherty, Rebekah Healy, Elizabeth Healy, Patrick Lee, Sophie Ryder, Adam McSweeney, Ciara Murphy, Cillian Murphy, Orla Lenihan, Zara Sweeney, Ruairi Connolly, Rhona Connolly, Isla Day, Brendan Day, Isobelle Conroy, Ruairi O’Riordan, Grace Cullinane, Gareth Weir, Saoirse McEvoy, Grace Stapleton, Jonathan Ruane, Michael Flaherty, Lauren Kearns, Emma Kearns, Eoin Higgins, Saoirse Grant, Siofra Lenihan, Kyle Fitzgerald, Nicole Duffy, Maeve Meehan, Emma Flaherty, Dara Lenihan, Cathal Grace, Liam Connolly and Ava Kilcommins.